Discussions Magazine Music Blog: BROKEN TOYS and THE MILLIONS NE: Two Obscure '80s Bands Rise Again With New Reissues! BROKEN TOYS and THE MILLIONS NE: Two Obscure '80s Bands Rise Again With New Reissues! 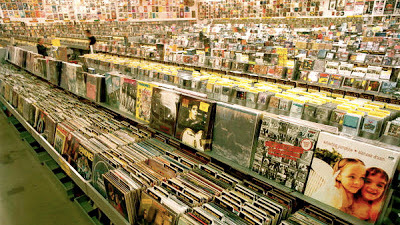 Back in the day when most record stores sold more than just the Top 40 and hit catalog titles, you could troll through the bins and come across hundreds of albums by artists that you'd never heard of before. While some folks may have shrugged these bands off, there were many that would pick up the album, read the back sleeve notes and try to get an idea of what the band was all about. The more adventurous music fans with a little extra money to spend often bought albums based on anything from the cover to the producer, the label or the picture on the back of the album cover. I'm guilty of doing just that. Back in the late '70s and early '80s, I'd buy records just because the band looked like they might be Power Pop or New Wave. Heck, I think I bought albums from practically every band that had a 'The' in front of their name and had at least one member who wore a skinny tie. With so many releases every week, it was hard to keep up with new bands. Thousands of them slipped through the cracks, never to be heard from again. If you have a pretty large music collection, you probably have records by a lot of obscure bands. Some of them may have been popular in other countries, but here in the good ol' U.S. of A., they never quite made a mark. And as we all know, there are more worthwhile bands that didn't make it than there are million-selling artists. That is a given. 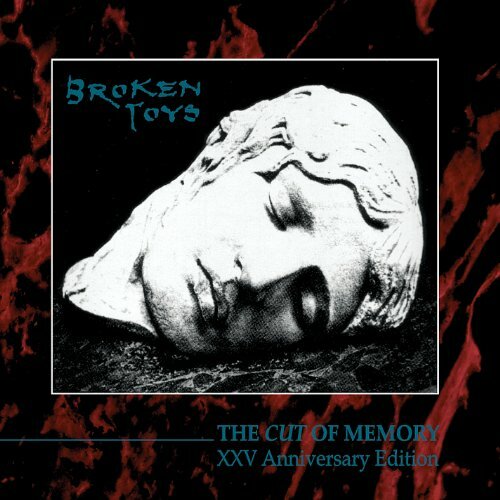 Broken Toys formed in Stockton California in 1984 and three years later, released their only album, The Cut Of Memory. Though the band never really broke out of the local scene in a big way, they did manage to play 800 shows during their lifetime, opening for some of the best of the '80s brigade including Echo & The Bunnymen, Modern English and The Church. Their sound was definitely Euro-influenced and while they could be considered Goth by some folks, their melodies are far too pretty for that. They used synths to flavor the songs with haunting melodies that helped to accent the songs, not to carry them. There are plenty of real drums, bass and guitars to drive the songs home. Vocally, there had great melodies and harmonies that added even more depth to the songs. While the production is thin at times and there are a few flat vocal notes, The Cut Of Memory is an excellent listen for anyone into '80s New Wave, Pop and, yes, Goth. There are many stand out tracks on the album including "Caressa Swtich", "Ileana (Imagine Me)", "Angels On Horseback", "Red Square" and others. The nine bonus tracks add a few non album cuts mixed with alternate versions of album tracks. At times sounding like a tasty demo, the songs are so good that the band would surely have made their mark had they recorded with a proper producer and had the support of a major label. For anyone who loves the '80s New Wave, Indie or Goth scenes should really do themselves a favor by checking this release out. "In 1989, The Millions formed out of the ashes of two popular groups from Lincoln, Nebraska. Greg Hill and Harry Dingman III came from the recently disbanded For Against, while Lori Allison and Marty Amsler joined from The New Brass Guns. Polygram became the first major label to pick up a Lincoln band for more than 20 years when they signed The Millions and connected them with longtime Rush producer, Terry Brown. The Smash/Polygram album from those sessions—M is for Millions—was released in October 1991. Two years after M is for Millions, the band released the album Raquel on Dream Circle, another Polygram label. In support of Raquel they embarked on a European tour opening for Sheryl Crow. However, in 1995, The Millions disbanded." Poison Fish consists of unreleased tracks that the band had recorded before signing with Polygram. For anyone who missed the now deleted M Is For Millions, this is your chance to get connected with this mesmerizing band that hits all the right marks when it comes to moody, emotional guitar pop. If you are already a fan, then this release will reignite your passion for the band. While comparisons to other bands is difficult, it is safe to say that The Millions NE are certainly closer to All About Eve or Throwing Muses than other female-fronted bands of the era like The Bangles. In fact, there are even hints of Siouxsie & The Banshees on Poison Fish. Lori Allison has a powerful voice, but she doesn't attempt to win hearts with her femininity - she sings from the soul, never cooing like a baby or wailing like an angry cat. Her voice is one with the music and doesn't attempt to fight to be heard. The songs are slow burners, sinking into your brain by the second and third listen. Poison Fish may feature recordings from 1990, but their sound is timeless. 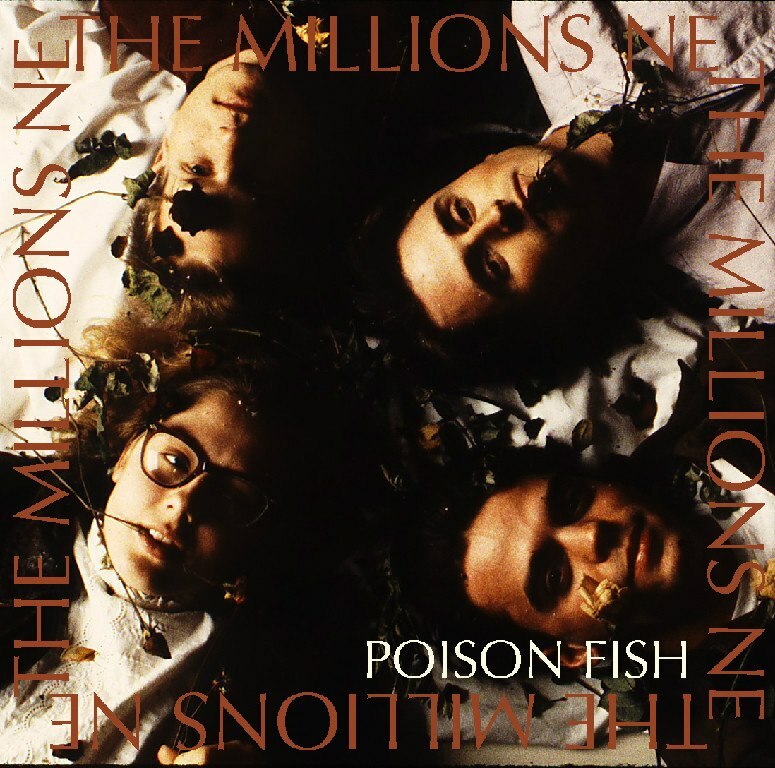 THE MILLIONS NE promote Poison Fish with a reunion show in December of 2012.